Mason Jars were used for storing items in our houses and for a long time were just packaging of different sauces ,pickles and jams. However, recently, Mason Jars have become an important part of the presentation of food. Be it drinks like shakes , mojitos or cold coffee and desserts like apple crumble or tiramisu these jars have come into fashion and everyone love them! They aren’t just pretty looking desserts but are fun to eat and much easier to scoop out the food or to drink while holding the jar. Bistros, Cafes, Patisseries in Pune are keeping up with the trend and many places have started to incorporate this style of presentation in their menus. Love Sugar Dough- Pink Butter for example is known for the cupcakes they serve and the array of cakes. However, they have started with the concept of serving red velvet cake in ajar. If you read their menu, they have a separate section for desserts they serve in either jars or open glasses very similar to the Mason jar concept. Now that is something one would enjoy eating! 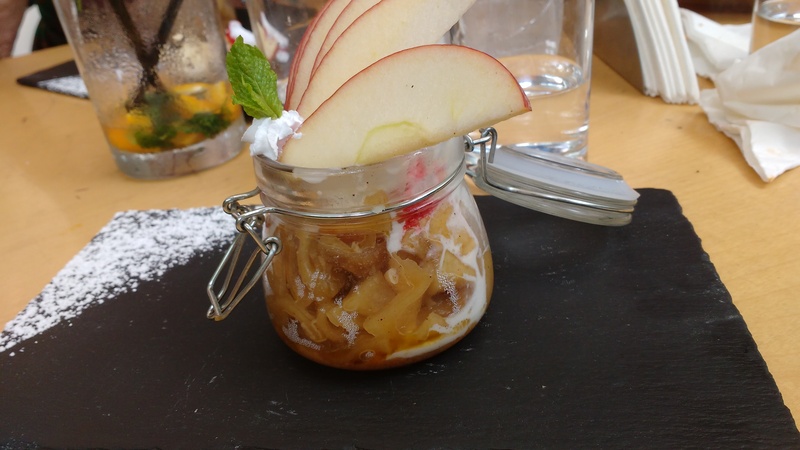 Now the latest trend of a deconstructed classic dessert in being incorporated with the concept of serving food in Mason jars. 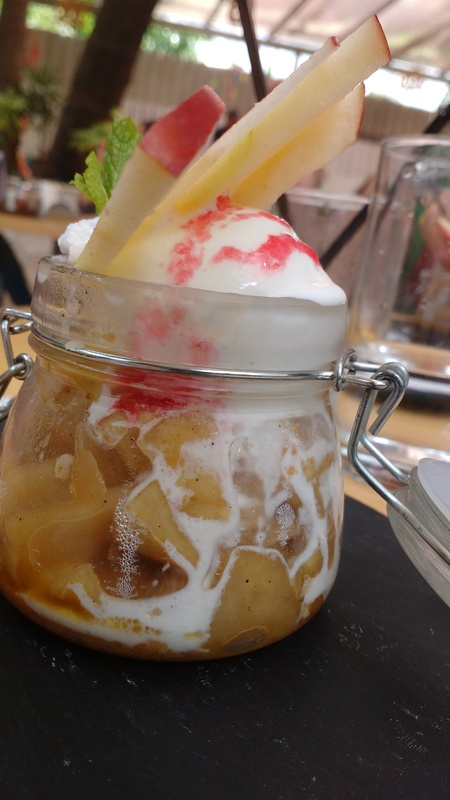 One of the places which serve such a dessert is Tales and Spirits Bistro. The apple and strawberry crumble is a deconstruction of the classic apple and strawberry pie and is served in a Mason jar. It is topped with a Gelato (which is optional). If you wish to not go in for the traditional Mason jar experience, glasses in similar shape too are the talk of the town. Not just desserts, drinks too are served in these Mason jars across the city. On the same lines, German Bakery Wunderbar too serves some drinks in Mason jars like Melito. 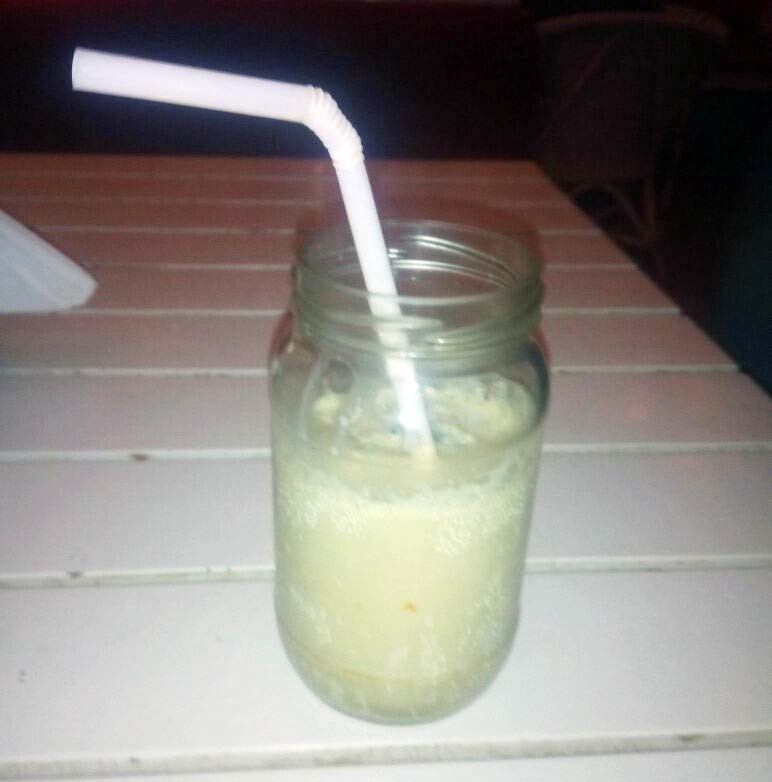 So if you wish to enjoy your desserts or drinks in Mason jars, then you can head to these restaurants or these mason jars are available online too and you can serve the drinks in the Mason jars at your next house party. 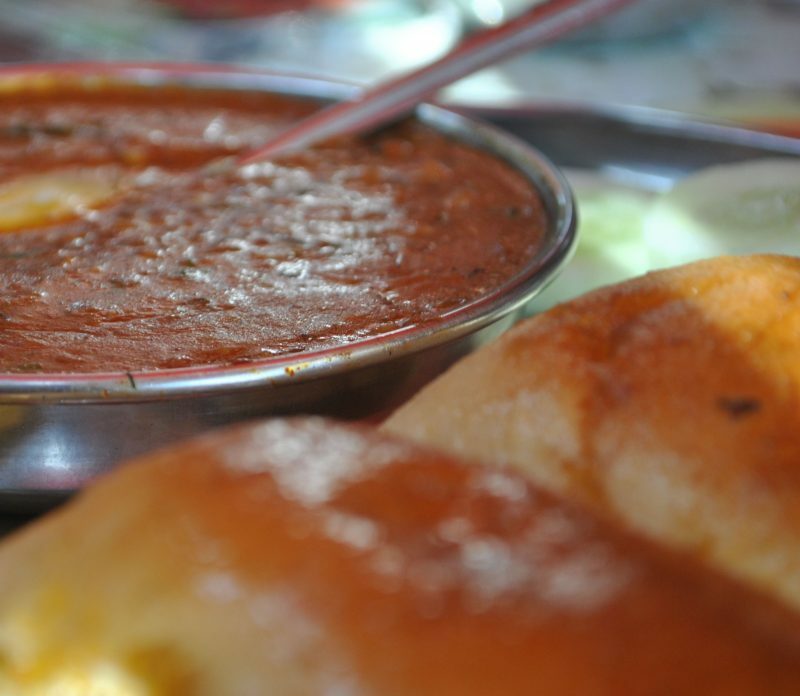 Next Post: Hello Farzi Café! !